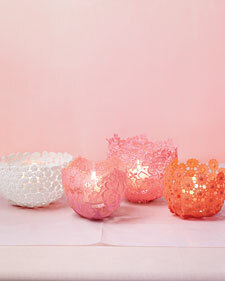 These would be lovely for a girl's party, shower, or perhaps a romantic Valentine's dinner. I would definitely use battery-powered candles though. Here's to a calm, productive Monday!